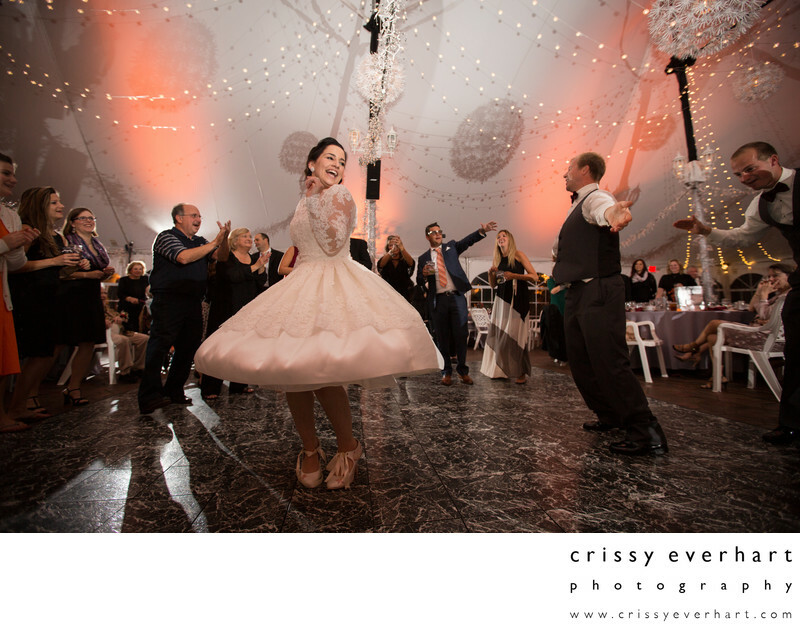 A bride twirls as she dances with her brother at her wedding in Pottstown, Chester County, PA. This tent wedding is adorned with Christmas lights everywhere, and a marble looking dance floor. The DJ kept party music playing all night long, but this brother and sister dancing duo started off the crazy dancing portion of the night!